Actually, the first official day of fall is not until late September, but for most of us it starts right after Labor Day. Something else that happens is that we tend to eat more. We show a marked seasonal rhythm of nutrient intake with increased total caloric intake, especially from carbohydrates, as well as an increase in meal size and more frequent #eating in the fall. According to John de Castro, Ph.D., a professor of psychology at the University of Texas, El Paso, we eat about 200 calories more per day in the fall, and not because of the Thanksgiving holiday – this is in addition to that weight gain. The likely reason we do this is in preparation for the winter months of famine. What famine, you say? These days there is none — probably another reason we keep gaining weight as a country. But in the past, we ate when foods were plentiful – like the time of the fall harvest. Perhaps we eat more simply because swimsuit season has ended, and we can start hiding behind big, bulky fall and winter clothes. Whatever the reason, here are a few #tips to keep you healthy and living well during the fall months. 2. Watch What You Eat: Avoid unconscious eating while watching football and the new TV fall lineup. Never bring the whole bag or bowl of anything to the couch or coffee table — pre-measure it in the kitchen beforehand. When it comes to chips, make sure they’re baked, not fried. For pizza, watch the toppings — they can double the calories. 3. Eat Apples, Pears, Sweet Potatoes and Butternut Squash: Apples have been shown to reduce the risk of some cancers as well as cardiovascular disease, asthma and diabetes. 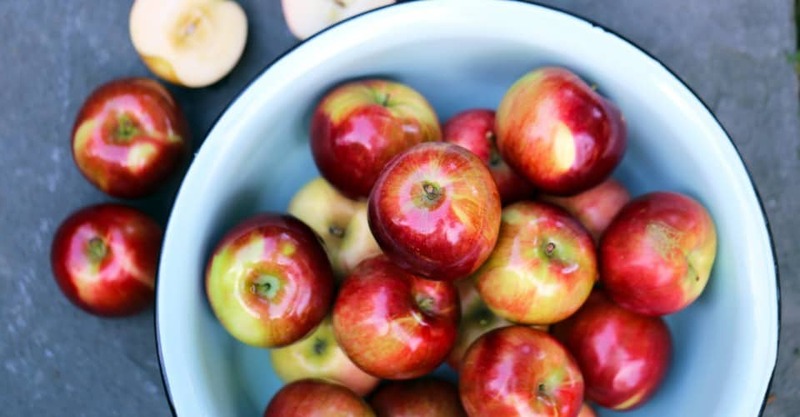 Apples are loaded with flavonoids such as quercetin, which is important for keeping blood vessels healthy and reducing inflammation throughout the body. Butternut squash and sweet potatoes are excellent sources of vitamin A in the form of beta-carotene, which is said to have antioxidant and anti-inflammatory properties. A medium pear has 5.5 grams of fiber, 212 milligrams of potassium and is a good source of vitamin C. All these fruits and veggies are also very low in calories and loaded with nutrients. 4. Pack a Healthy Lunch: While there are signs that the recession is ending, it doesn’t hurt to pack your own healthy lunch. What are some good brown-bag choices for you and your kids? Make sure to avoid processed foods with added sugar, always include a fruit, such as an apple, orange or pear. Avoid fatty lunch meats like salami, bologna, roast beef or ham. Opt for lower-fat foods such as white-meat turkey or chicken breast. Avoid high-calorie drinks including juice, and try to get your kids used to drinking water. But be careful about restricting your children’s junk food intake too much, says a recent study reported in the Journal of Pediatrics. A combination of “high parental restriction and low self-control” puts kids at the highest risk for weight gain. The best advice is to teach your kids to control their own behavior. Make sure they’re aware of how lousy they feel after eating high-sugar foods and highlight the tastiness of fruits and vegetables. Keep in mind, children copy the behavior of their parents – so if you eat healthy, they will probably eat healthy. Make sure to use 100 percent whole-grain bread instead of white bread for sandwiches. See more brown-bagging tips here: www.dietdetective.com/column/brown-baggin’-it.aspx. 5. Eat Big in the Morning: Recent research reported from Sam Houston State University in Texas found that eating in the morning reduces total calories eaten for the entire day. 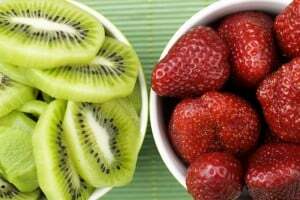 What should you eat? It’s getting colder, so how about a nice bowl of oatmeal with blueberries? Oatmeal is a “whole” grain, which means it contains all parts of the grain kernel: bran, endosperm and germ, as well as all the #health benefits, including plenty of protein and soluble fiber to help you feel full and restore your glucose levels after a long night’s sleep. Oatmeal is also low in saturated fat, as well as high in potassium, magnesium, calcium and zinc. Make sure to avoid the extras like brown sugar, butter, salt, honey and whole milk. 6. Enjoy the Fall: Go to museums, go hiking, take long walks and bike rides, and use a pedometer. Keep in mind that once we set the clocks back, it gets darker earlier, so there are fewer outdoor options for physical activity in the evening. Make adjustments by joining a gym, planning evening walks at the mall or becoming an early riser. Walk your kids to school. Make it interesting by using mapmywalk.com or maps.google.com, which has a drop-down menu where you can choose “walk” to get directions and the distance to anywhere. Also, check out the following sites for hiking: Trimbleoutdoors.com (offers thousands of day hikes), Localhikes.com (lists local hikes around the United States), Trails.com (has more than 38,000 trails but charges $49.95) and Recreation.gov. 7. Relax and Stay Calm: Try to readjust to the fall work and/or school schedule. A recent study from Maastricht University in the Netherlands appearing in the journal Obesity showed that even when a person is not hungry, he or she will eat when under a significant amount of stress. This is especially the case when the summer ends and the “back to school/back to work” pressures start to mount. You don’t have to avoid eating altogether, but you do need to make healthier choices. Try to keep junk food out of your office and home, and make sure to have plenty of fall apples and pears on hand. If that’s all you have, that’s what you’ll eat. Also, consider popcorn. In a first-of-its kind study, scientists at the American Chemical Society reported that snack foods like popcorn contain “surprisingly large” amounts of healthful antioxidant substances called polyphenols. Here are a couple of healthy ways to make it: Get a bag of yellow unpopped kernels and make it in an air-popping machine. Or if, like me, you don’t love air-popped corn and don’t mind the hassle (or occasionally burnt popcorn), pop yours on the stovetop. Put the kernels in a deep pot, coat them with cooking spray, cover and pop. Make sure to release the steam occasionally by opening the cover slightly, and be careful not to burn yourself. We cover our pot with a Mesh Grill-Top Fry Pan (see: www.williams-sonoma.com) so the corn can breathe. Make sure to shake the pot throughout the process — the shaking spreads the heat and allows the unpopped corn to pop.